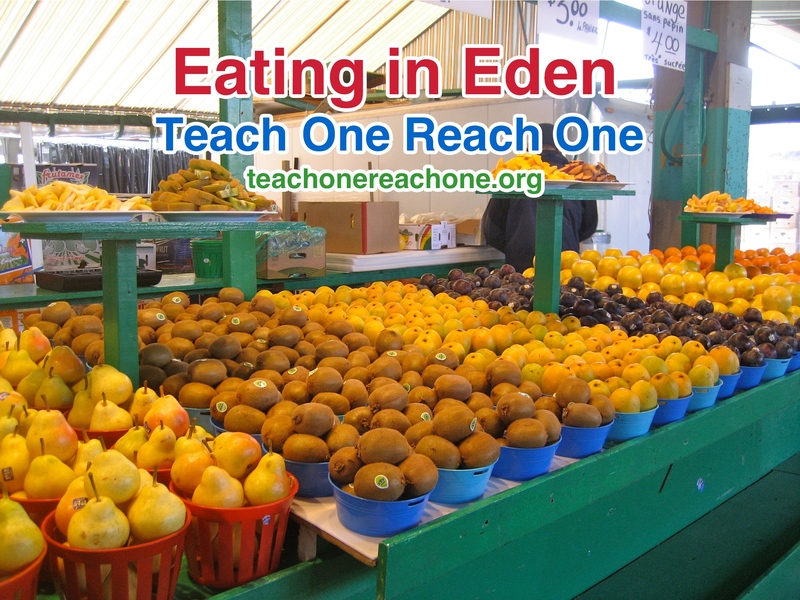 Guiding Question: How can you use only locally available produce to provide a nutritious diet for your family? Procedure: Review the story of Creation, focusing especially on the Garden of Eden. Discuss and show (if possible) examples of produce available locally. Teach and/or review the basics of a nutritious diet [LINK] and how to plan nutritious menus. Have the students work together to make a nutritious dish using locally available produce. (Consider creating a dish that does not require cooking.) While students are eating their creation, have them use cookbooks or knowledge of local dishes to create a nutritious menu for a week. Teach them how to analyze their menus to make sure they contain enough nutrition and avoid excessive fats, salts, and sugar. What was a typical menu in Bible times? How nutritious was the diet of the average person in the Bible? Supplemental Activity: Have students create and make a nutritious recipe using locally available produce.